Together with Mencap and Alzheimer’s Society, our Southport care home Woodlands Manor, celebrated World Down Syndrome Day with residents and their visiting family members. This year’s theme of ‘Leave No One Behind’, aimed to highlight the prevailing negative attitudes, low expectations, discrimination and exclusion that individuals with Down Syndrome face in their day to day lives. Unfortunately the system as it stands, fails to support these individuals with the opportunities and tools they need to lead fulfilling lives. Observed internationally every year on the 21st March, we joined in to celebrate World Down Syndrome Day in an attempt to help raise public awareness of the personal as well as social challenges these individuals face. However, in the face of social prejudice, we feel it is just as, or even more so important, to raise awareness for the need to celebrate the positive and resilient individuals, who live behind this label. 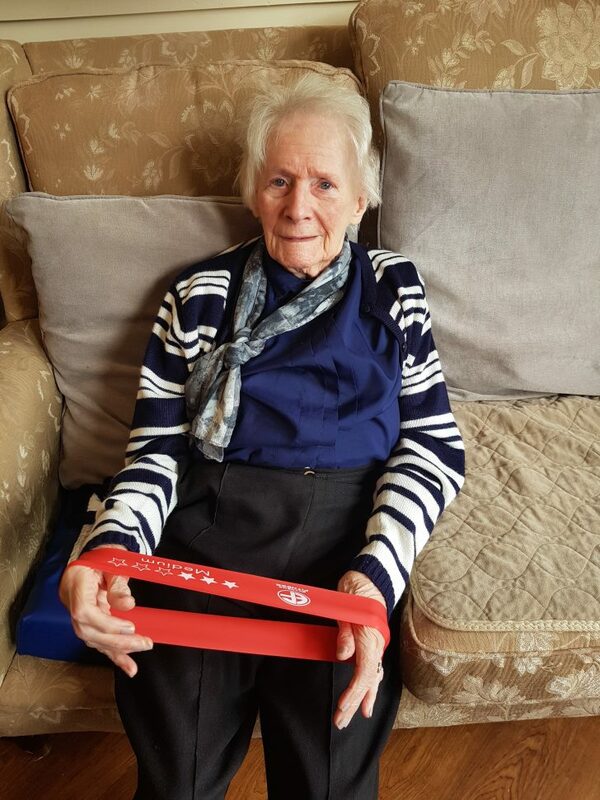 Joyce, one of our residents at Woodlands Manor, is one of these individuals. Although living with down syndrome comes with its challenges, we can also proudly state, what a delight it is to have her as a part of our family. Her bubbly personality and high spirits, always manages to boost the mood of everyone around her. 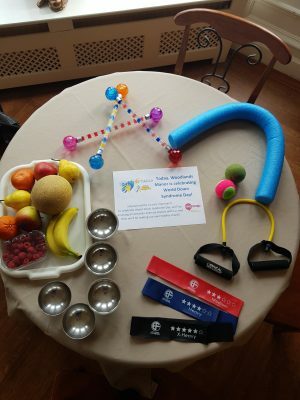 In attempt to include everyone at the home in this celebration, we decided to take on the theme of ‘Healthy Living’, which is a must for any individual living with either Alzheimer’s, Dementia and/or Down Syndrome. Taking into account the abilities and disabilities of some of our residents, Liz, our activities coordinator decided it was best to have everyone engage in a variety of armchair exercises, which they all enjoyed. 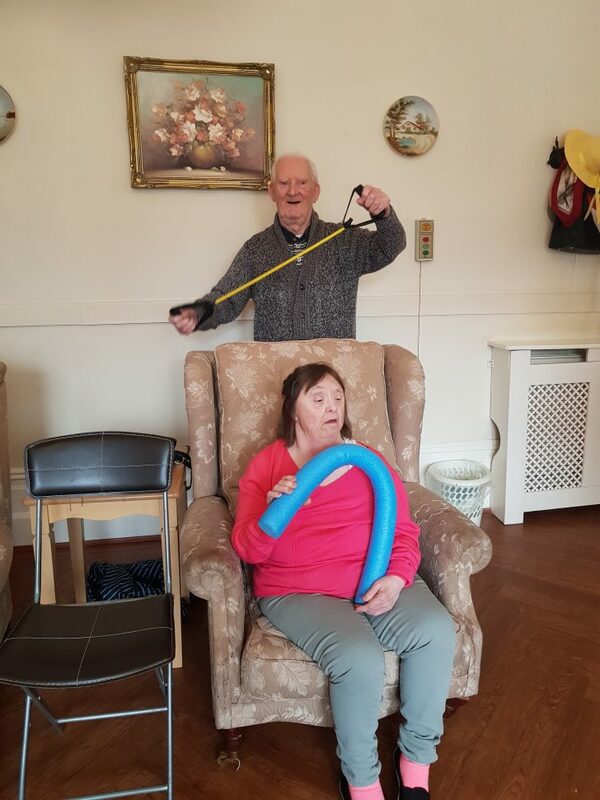 Each resident enthusiastically took turns trying out the resistance bands, as well as the other tools provided. Later, they went onto prepare their own healthy snacks, which they enjoyed with great fervour. At Cedars Care Group, we pride ourselves in providing a healthy and balanced life style to all our residents as well as celebrating their individual spirit. We believe celebrating life, leads to a healthier and happier mental state. Looking for a care home in Southport, Merseyside? 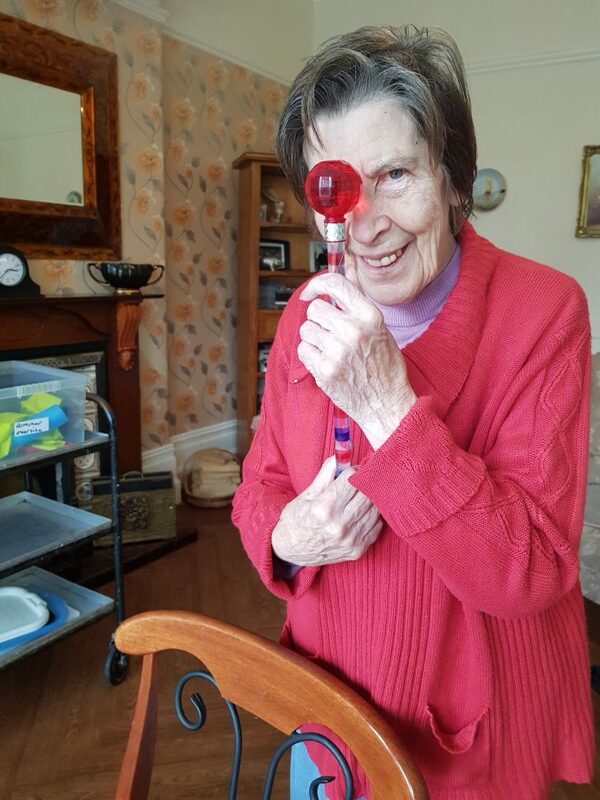 Find our more about Woodlands Manor and how you can arrange a visit for tea or lunch!